Manufacturers, looking for new and practical ways to integrate robots into their operations, are finding that robots are a strong influence in manufacturing competitiveness. What is the Smart Factory and its Impact on Manufacturing? The smart factory is a direct way for manufacturers to excel in a competitive and dynamic marketplace. Remember that these trends are already in place, for the most part. What you'll deal with are advancements and enhancements that make the trends more apparent. For years, the shop floor as been an island of its own and with the latest climate from the US government and other countries, more companies are seeking integration and connection to the corporate world. If one of your new year's resolutions is to reduce your motion control costs without making sacrifices, this might be the year you can actually scratch it off your list. John Fryer for MBTmag.com: Many manufacturers are viewing the emerging Industrial “Internet of Things” (IIoT) as a way to provide their businesses with a new and powerful competitive advantage. They recognize the potential in harnessing and analyzing data from across the plant to drive greater efficiency and create the foundation for new business models. But how can manufacturers navigate from the automation infrastructures of today to the intelligent IIoT enterprises they envision? Imagine production without the oppressive costs and time requirements of tooling. Make changes quickly and affordably - at any stage in the production cycle. Create low-volume assembly fixtures and jigs directly from CAD data. 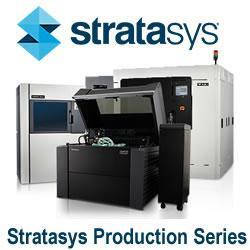 Additive manufacturing is where the world is going, and nothing will get you there faster than the truly transformative 3D production systems from Stratasys. Autodesk makes software for people who make things. If you've ever driven a high-performance car, admired a towering skyscraper, used a smartphone, or watched a great film, chances are you've experienced what millions of Autodesk customers are doing with our software.